As the elevation increases we go through the wet meadows and the transition to upland. 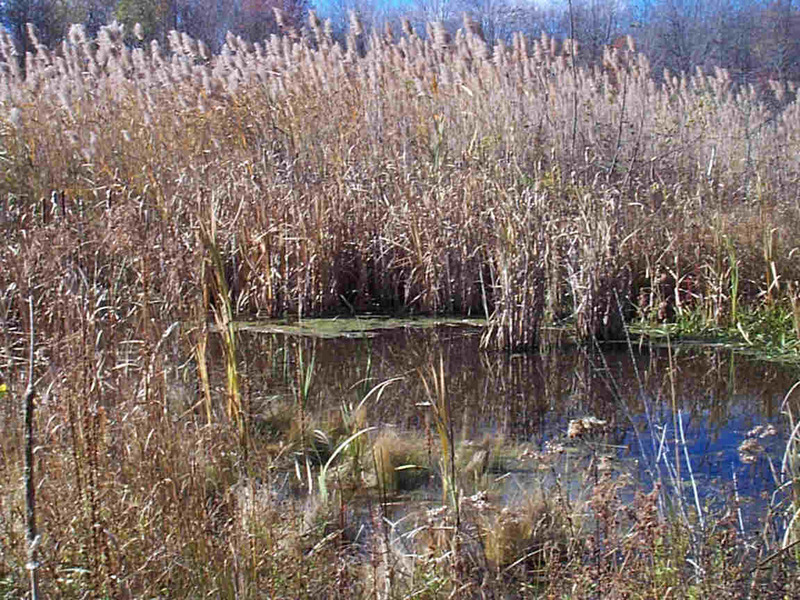 One last plant to note is the giant reed (Phragmites australis). This plant grows in the area of disturbance. It grows where water levels have been changed, where areas have been drained or filled and generally where we humans have altered the natural processes. It is growing both in the upland areas surrounding the wetland, wet meadow and even in the small pond. This plant also displaces native species.